Now, you may ask, what about the rights of the mother? In a civil, libertarian-oriented society, all just laws are born out of the intersection of rights. When rights compete, a just law comes down in favor of the party that is the non-aggressor and is the most harmed. For example, I may have the right to punch my fist in the air, but when my knuckles connect with someone else’s nose, that right gives way to the rights of the person who has just been assaulted. The law weighs especially heavy in favor of those least able to advocate for themselves. Abortion pits a mother's rights against the rights of her preborn child. 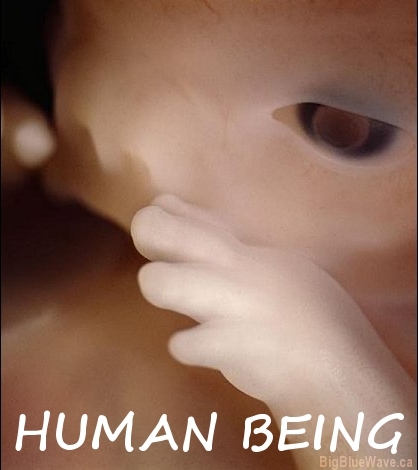 Even if one accepts that a pregnant woman experiences a temporary, partial loss of liberty, abortion permanently and totally deprives the human fetus of his or her right to life and, consequentially, liberty. Because the child stands to be killed by the mother’s exercise of her rights, the preborn baby’s right to life must trump all others. When the state steps in and favors the aggressor, as was done in Roe, it is a tyrannical injustice. Feminists say that a woman's rights "trump" a fetus' rights. There is no such thing as one group's rights "trumping" another's. Rights trump one another by their degree of importance. Autonomy is important. Life is more important. Autonomy can be lost and regained. Not so with life. Life is the person himself. Autonomy is not.